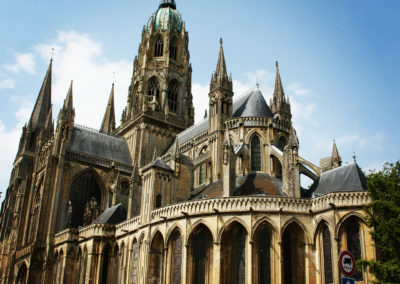 Located 10 kilometres from La Chenevière, Bayeux is famous for its 11th century tapestry which tells the story of the conquest of England by William the Conqueror in 1066. In addition to this exquisite piece, inscribed on UNESCO's Memory of the World Register in 2007, the town also possesses a rich and well-preserved architectural heritage. Its medieval historical centre contains half-timbered houses, manors with towers, grand homes and elegant private mansions. 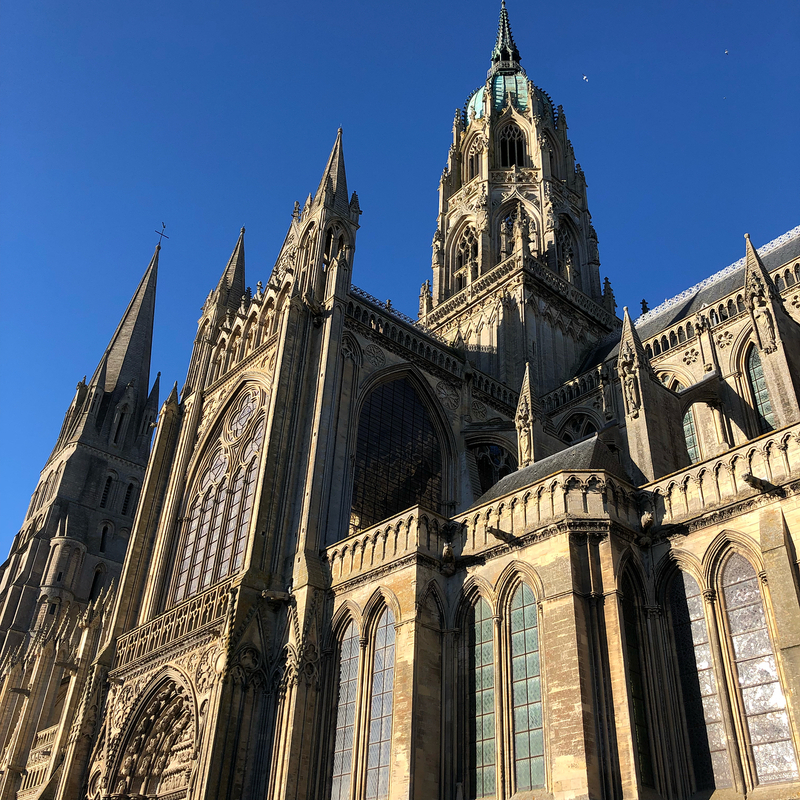 You won't want to miss the Cathedral of Our Lady of Bayeux, a Norman gem where Romanesque and Gothic architecture intermingle. 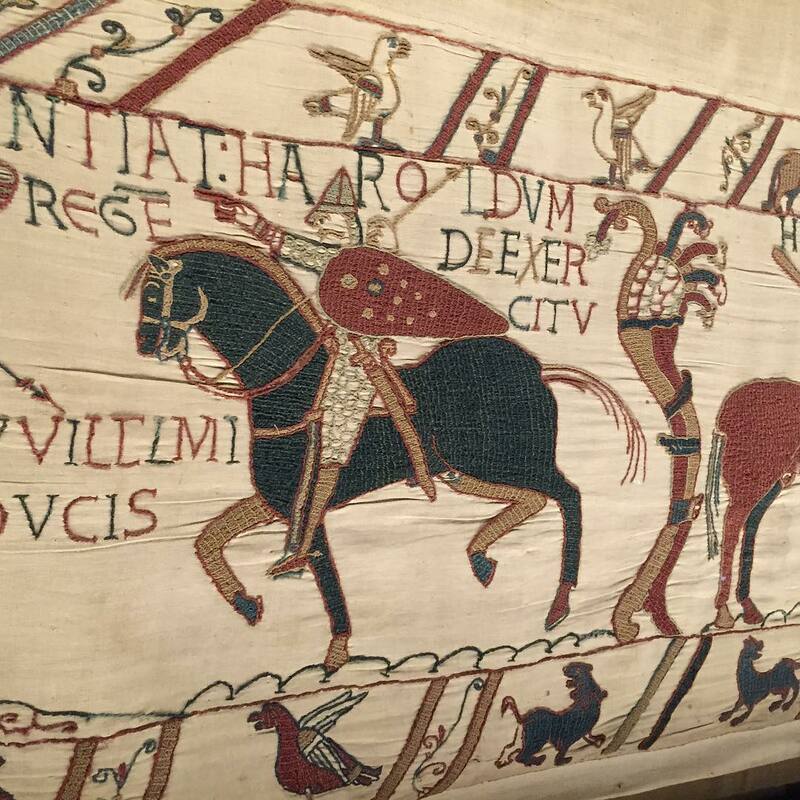 Odo had the famous Bayeux Tapestry embroidered to decorate the nave of the cathedral. 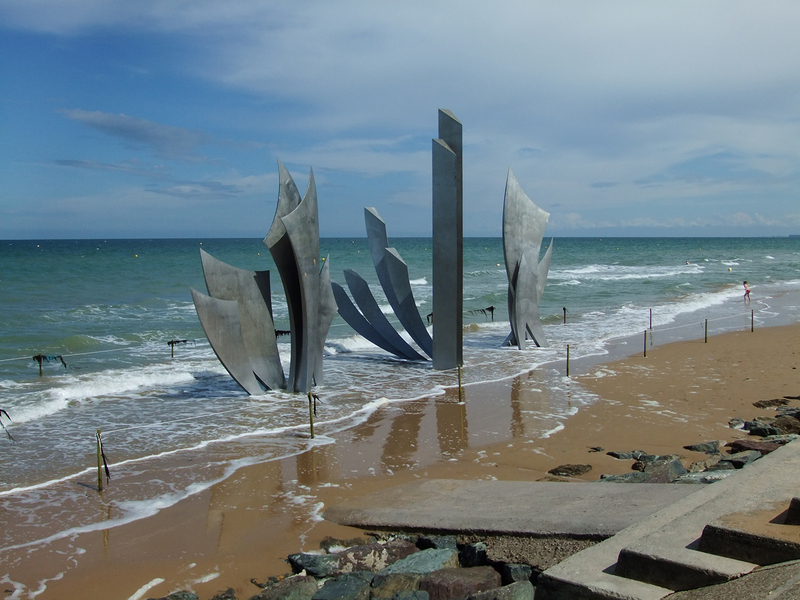 Bayeux is also home to a number of memory spaces associated with the Second World War, three museums, a botanical garden and a lovely promenade along the banks of the Aure which offers an original way to discover the town and its heritage. From La Chenevière, you can set off to explore the coast of the Bessin region, where you will find the WWII landing beaches, a must-see tourist destination. 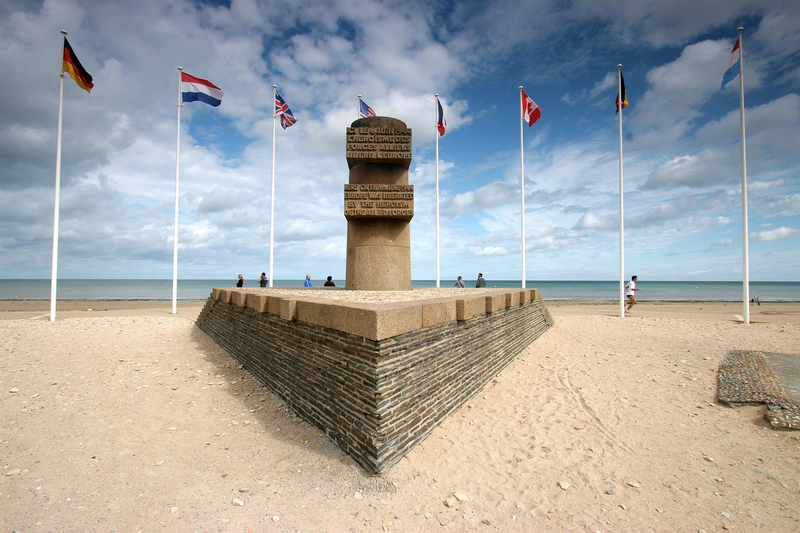 In the centre of the landing zone, Arromanches has preserved the remains of the mulberry harbour. A little further along, the Normandy American Cemetery overlooks Omaha Beach (stretching from Colleville-sur-Mer to Saint-Laurent-sur-Mer). The Pointe du Hoc promontory, before Utah Beach, and Sainte-Mère-Église are some of the other sites marked by the Allied landing in Normandy on 6 June 1944. All of them have a museum or memorial dedicated to that great moment in history. 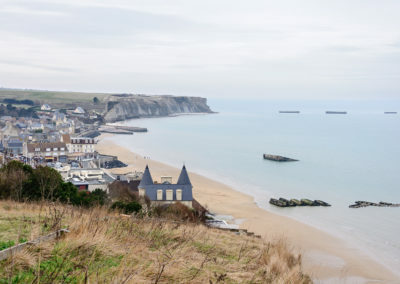 They retrace the whole story of D-Day, from its preparation to the actual event. You will also find a series of testaments to the past: uniforms and personal belongings, vehicles, cannons, archive photographs, and more. 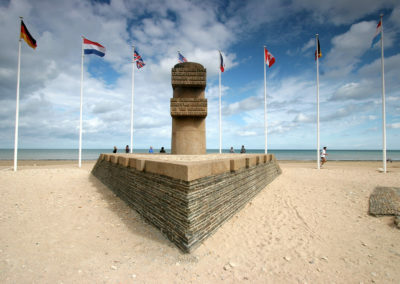 The hotel can organize guided tours of the landing beaches by sedan, Jeep, dune buggy or quad bike. The Mont Saint-Michel, the top tourist destination in Normandy, is truly deserving of its nickname, the "Wonder of the West". This grandiose site, erected on a rocky island in the 8th century, in the middle of an immense bay, is one-of-a-kind. Since 2015, its maritime nature has returned and, during the spring tides, it is once again an island, separated from the continent. From the bay or the top of the mount, you can admire the spectacle of those spring tides, the most impressive in all of mainland Europe. 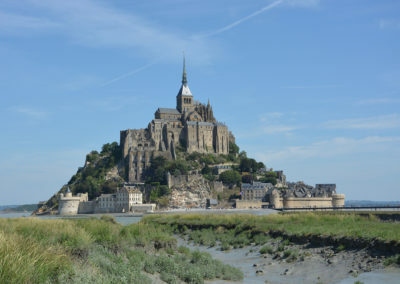 Crossing the Mont Saint-Michel Bay with an accomplished guide is of course a worthwhile experience before you explore the mount and its abbey, one of the most extraordinary examples of religious architecture. The abbey and its outbuildings are listed historical monuments, while the town and the bay have been on UNESCO's World Heritage List since 1979. 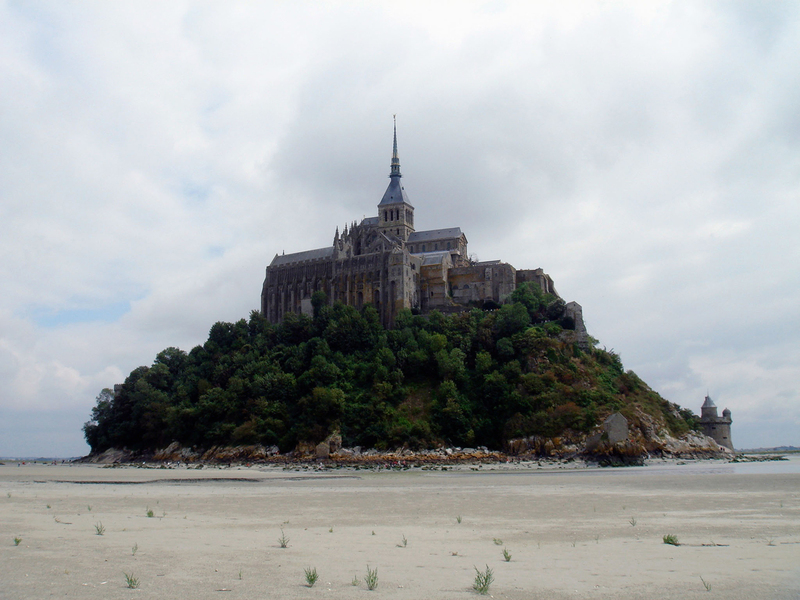 The Mont Saint-Michel is roughly 130 kilometres from La Chenevière. 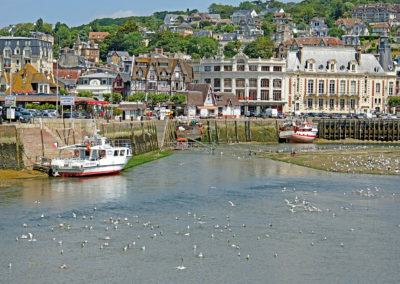 Honfleur makes for a lovely stop along the Flowery Coast. Its docks and harbours, Sainte-Catherine Church, its old streets and typical house, and Notre-Dame Chapel, not to mention the hospice and lighthouse, the shipyard and the Seine Estuary all served as inexhaustible sources of inspiration for painters beginning in the 1820s. A real artists' community formed there, around Boudin, Jongkind and Monet in particular. 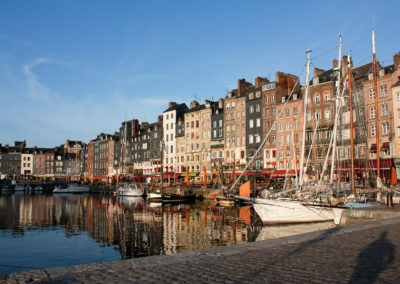 Some would readily say that the small Norman port is in fact the birthplace of impressionism! Today, you can still admire the sites depicted by 19th century artists, particularly the Old Harbour, the church, and the Saint Siméon Farmhouse Inn above town where all the painters would gather together, along with musicians, poets, writers and more. The "Flowery Coast" refers to the Norman coast where the English Channel laps at the Pays d'Auge. Its name recalls the pleasant inland countryside, as well as the many seaside resorts scattered at the water's edge. 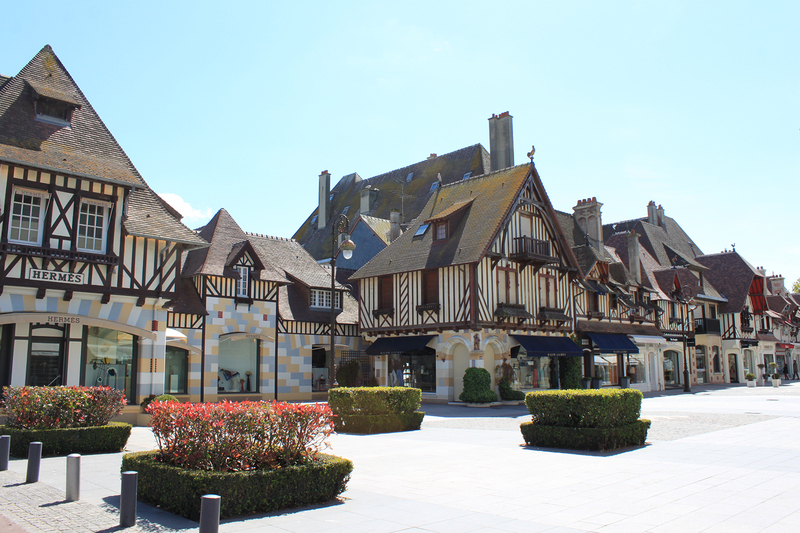 The most famous and elegant of these, Deauville, is just as captivating today as it was in the past. Many a summer visitor is attracted to its mythical boardwalk, its horse races, its sale of yearlings each August, its polo tournaments and its American Film Festival in early September. The more family-friendly seaside resort town of Trouville-sur-Mer is right next to Deauville. After enjoying the pleasures of the beach, take advantage of its lively fishing port to cool down with some ice cream or a cold beverage. 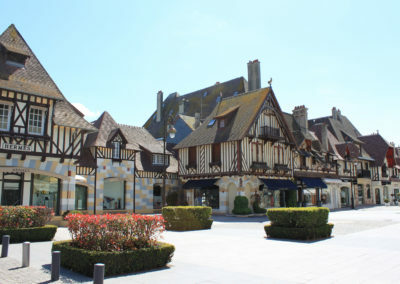 Cabourg owes its reputation to the famous people it has hosted with, first and foremost, Proust, whose memory has left its mark on the small resort town. 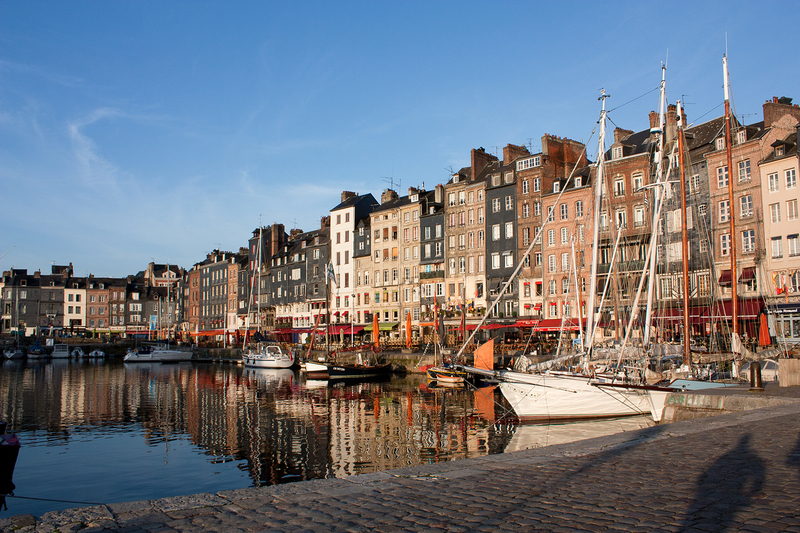 Like Trouville, it is known for its incredible, splendid array of architectural styles. 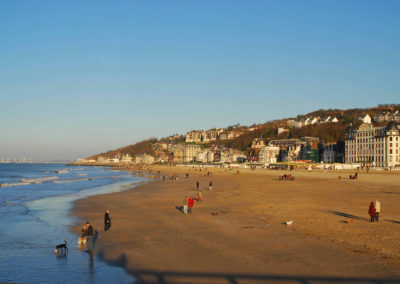 Members of the seventh art come together each year for the Film Festival, the Romantic Days and European Days at Cabourg. 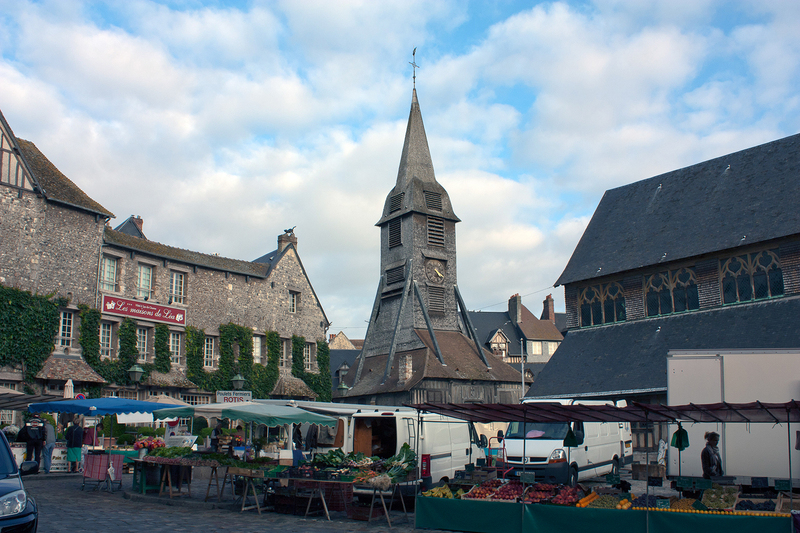 The region of Normandy invites you to discover its products. During your escapes in the hinterland, don't hesitate to stop off and visit the local farmers and producers. Normandy is a fertile land for the apple and pear trees lining its roads. 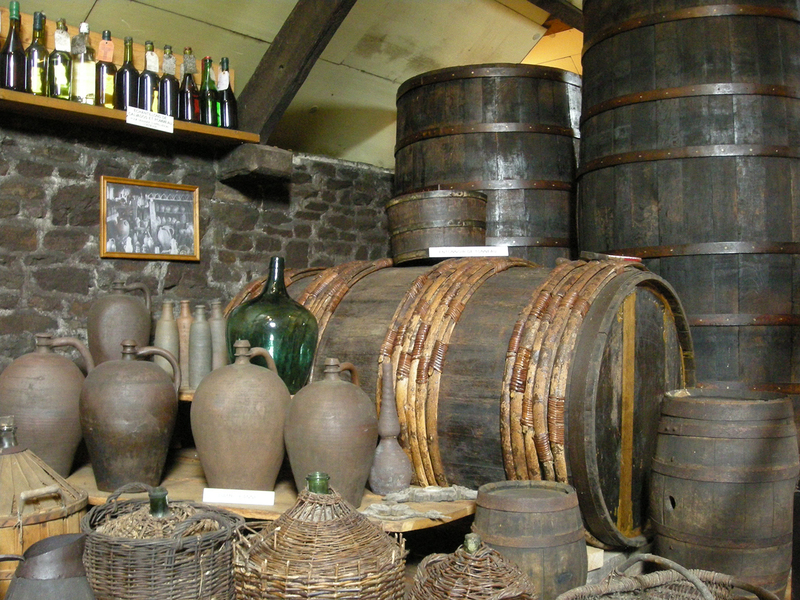 Their fruit supplies the region's cider-works and distilleries where you can sample apple juice, hard cider, perry, pommeau and calvados. 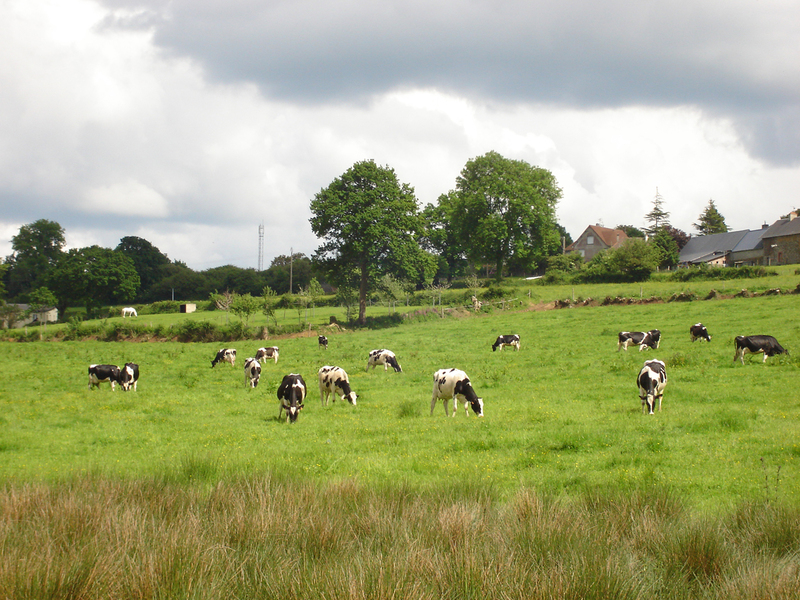 On the plains, the hedged farmland and the hilly green prairies, Norman cows produce quality milk, used to make famous AOC cheeses like Camembert, Livarot and Pont l'Eveque, but also Isigny cream and butter. Many cheesemakers will open their doors to explain all the secrets of their production processes. Along the coast, oyster farmers will take you on guided tours of their oyster beds where they cultivate the famous cupped oysters. You can even go to the fish auction hall to buy your fish caught the night before. A land of nature, Calvados boasts several remarkable gardens worth a look by visitors. The Botanical Garden in Caen, a veritable museum of plants, is home to more than 8,000 species and includes an exotic greenhouse. 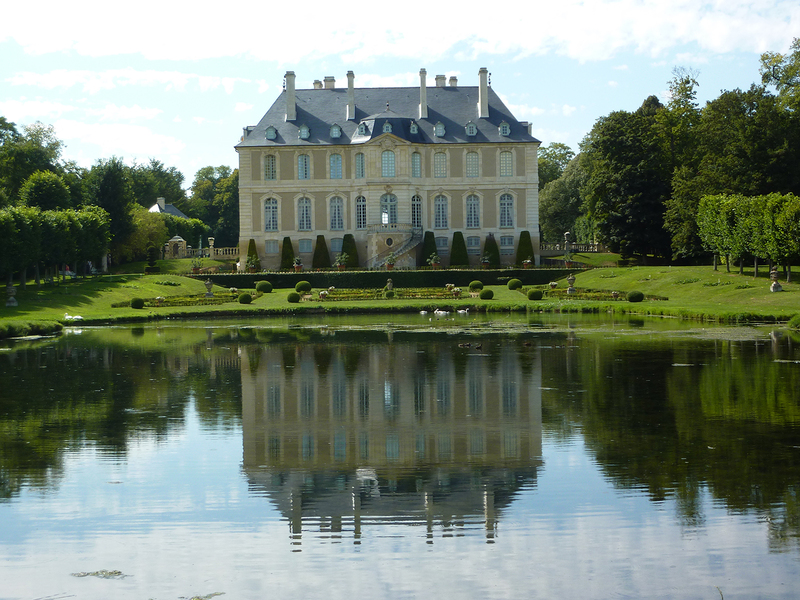 The gardens of the Château de Vendeuvre stand out for their water-based theme. 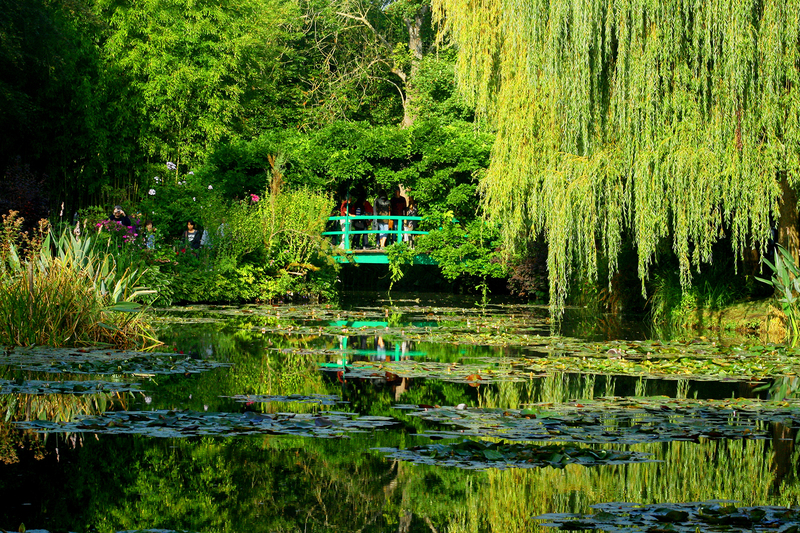 Nearby Bayeux, the Castillon Gardens and their series of theme gardens extend an invitation for a peaceful stroll. The gardens of the Château de Brécy are a gorgeous example of terraced formal gardens, unique in Normandy. In Balleroy, visit the Garden of the Forgotten, preferably in June, to admire the Norman heirloom roses there. 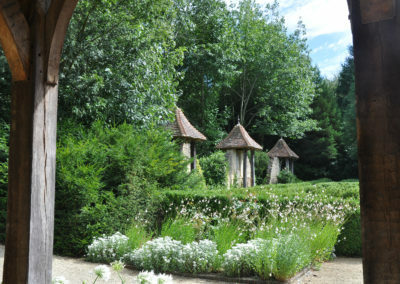 Discover the architecture of Normandy in the Pays d'Auge Gardens in Cambremer. Considered one of the jewels of Calvados, the gardens of Mézidon-Canon are the site of charterhouses and walled gardens which are unique in France. 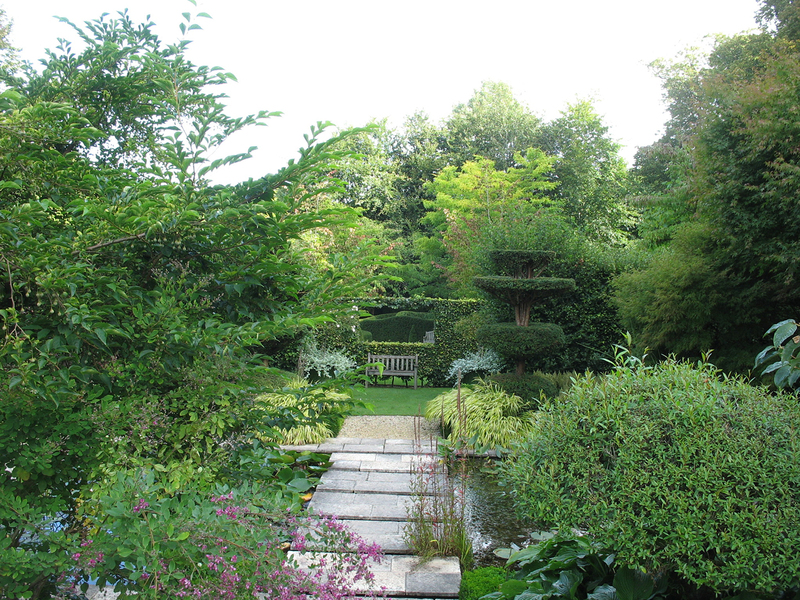 Lastly, the gardens of the Château de Boutemont, to the north of Lisieux, are some of the most beautiful in Calvados. Follow in the footsteps of William of Conqueror along the Bessin coast where fortified farms, abbeys, medieval fortresses and manor houses are legion. From the Ducal Château de Caen to William the Conqueror's château in Falaise, relive the epic saga of this local hero. Dive into the Middle Ages at the Château de Crèvecœur-en-Auge where a week of activities is held each year during the Medieval Fair. At the Manoir d'Argouges, a rare architectural complex in a mix of medieval and Renaissance styles, let yourself be swept away by the owner on a journey outside of time as you learn about the age-old legend of the Fairy of Argouges. 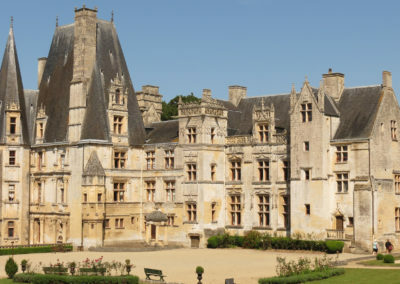 Enthusiasts can continue that journey through history and architecture by visiting the Château de Balleroy, designed by architect François Mansart, the Renaissance Château de Fontaine-Henry with its gorgeous sculpted façades, and the Châteaux de Bénouville, Pontécoulant and Vendeuvre, 18th century creations. 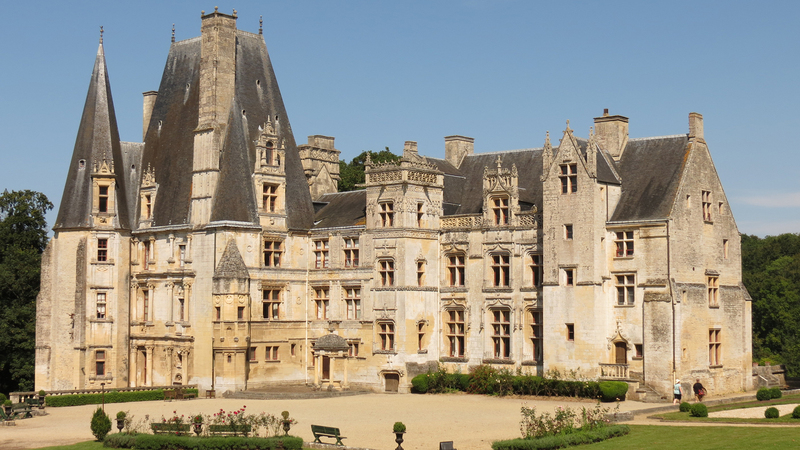 Lastly, to admire the most Norman of all the châteaux in Calvados, head for Saint-Germain-de-Livet, to the south of Lisieux. 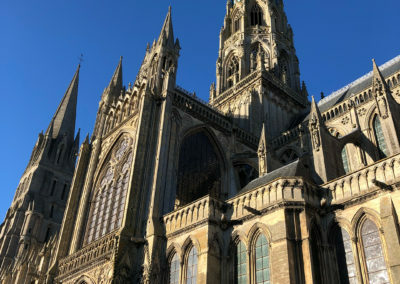 Located 10 kilometres from La Chenevière, Bayeux is famous for its 11th century tapestry which tells the story of the conquest of England by William the Conqueror in 1066. In addition to this exquisite piece, inscribed on UNESCO’s Memory of the World Register in 2007, the town also possesses a rich and well-preserved architectural heritage. Its medieval historical centre contains half-timbered houses, manors with towers, grand homes and elegant private mansions. 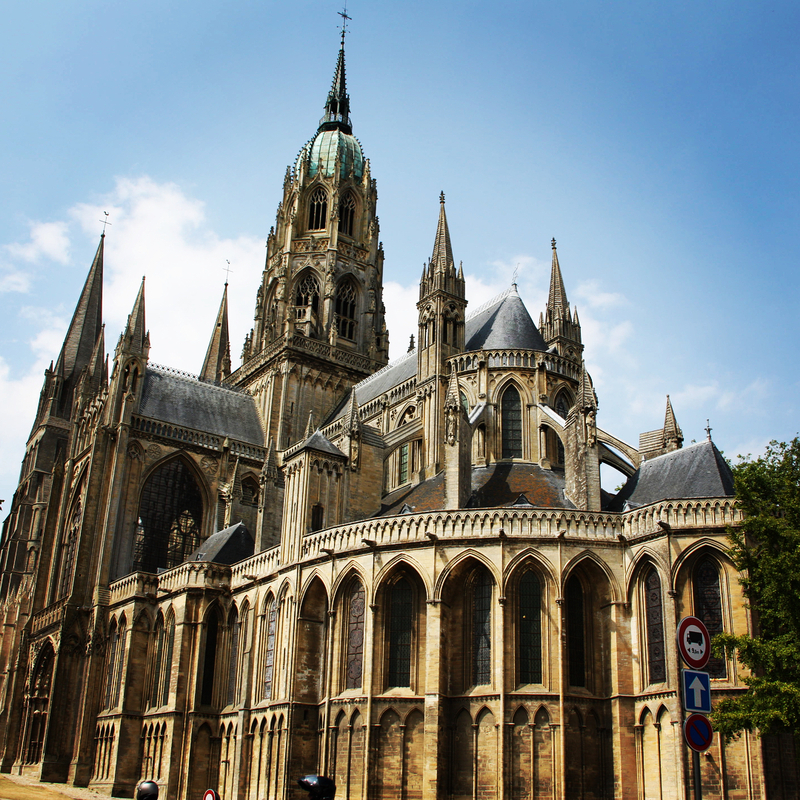 You won’t want to miss the Cathedral of Our Lady of Bayeux, a Norman gem where Romanesque and Gothic architecture intermingle. 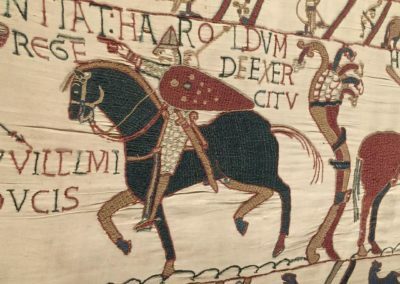 Odo had the famous Bayeux Tapestry embroidered to decorate the nave of the cathedral. 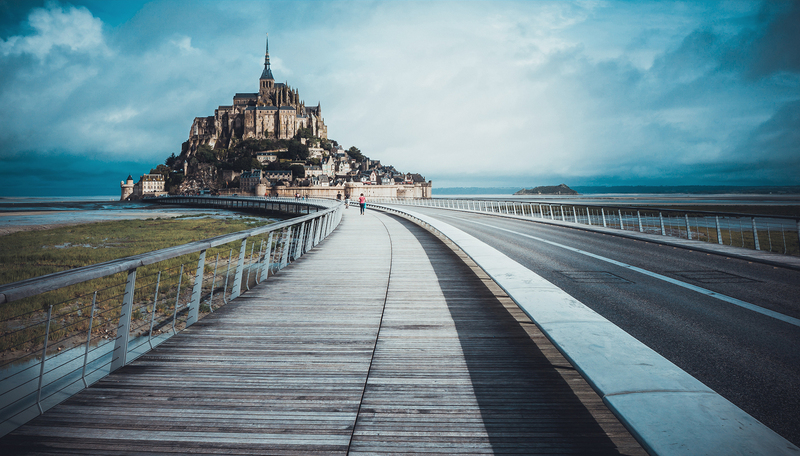 The Mont Saint-Michel, the top tourist destination in Normandy, is truly deserving of its nickname, the “Wonder of the West”. This grandiose site, erected on a rocky island in the 8th century, in the middle of an immense bay, is one-of-a-kind. Since 2015, its maritime nature has returned and, during the spring tides, it is once again an island, separated from the continent. From the bay or the top of the mount, you can admire the spectacle of those spring tides, the most impressive in all of mainland Europe. 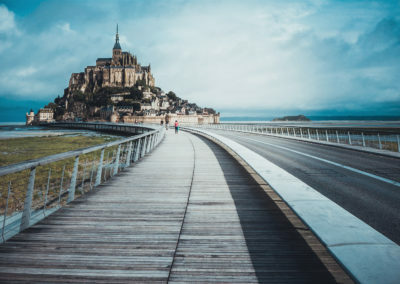 Crossing the Mont Saint-Michel Bay with an accomplished guide is of course a worthwhile experience before you explore the mount and its abbey, one of the most extraordinary examples of religious architecture. 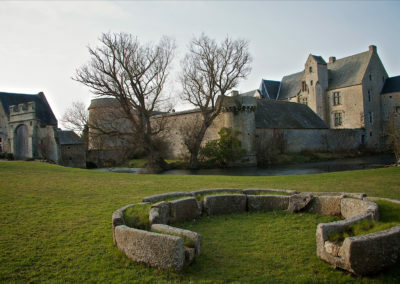 The abbey and its outbuildings are listed historical monuments, while the town and the bay have been on UNESCO’s World Heritage List since 1979. 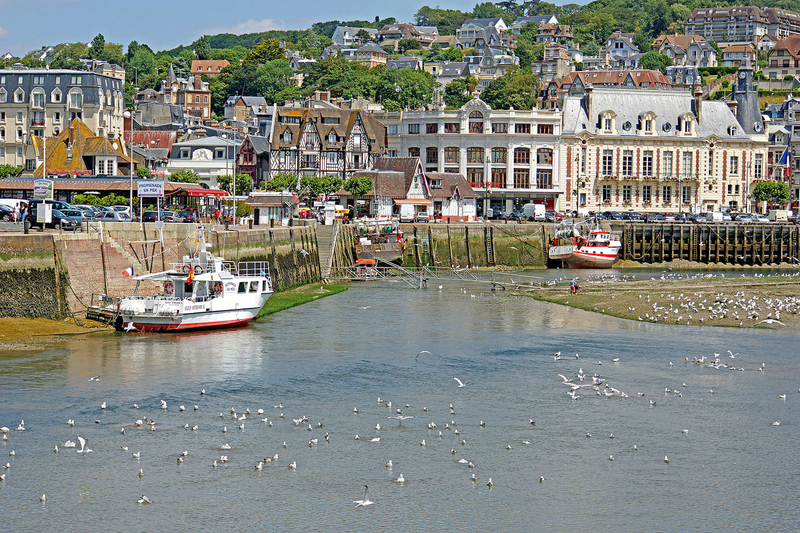 Honfleur makes for a lovely stop along the Flowery Coast. Its docks and harbours, Sainte-Catherine Church, its old streets and typical house, and Notre-Dame Chapel, not to mention the hospice and lighthouse, the shipyard and the Seine Estuary all served as inexhaustible sources of inspiration for painters beginning in the 1820s. A real artists’ community formed there, around Boudin, Jongkind and Monet in particular. 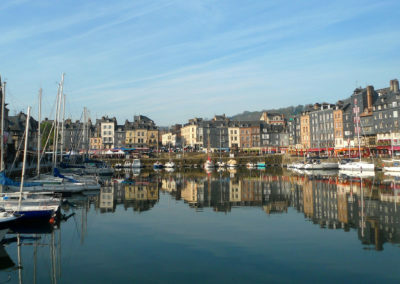 Some would readily say that the small Norman port is in fact the birthplace of impressionism! The “Flowery Coast” refers to the Norman coast where the English Channel laps at the Pays d’Auge. Its name recalls the pleasant inland countryside, as well as the many seaside resorts scattered at the water’s edge. 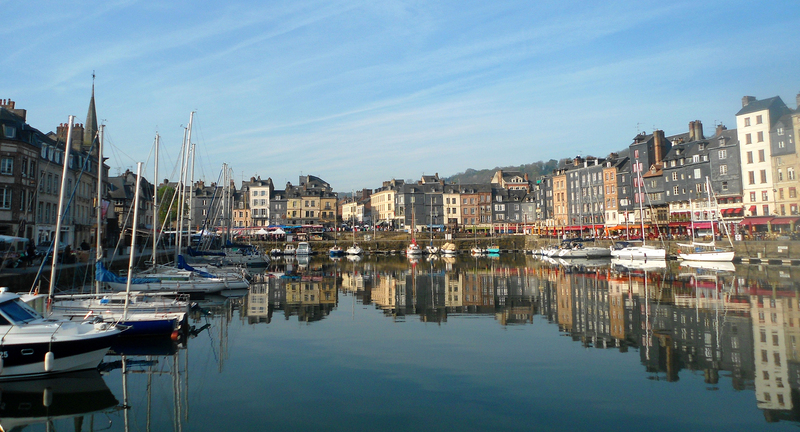 The region of Normandy invites you to discover its products. During your escapes in the hinterland, don’t hesitate to stop off and visit the local farmers and producers. 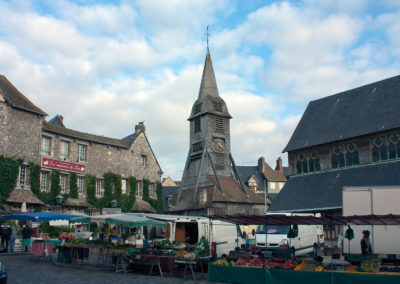 Normandy is a fertile land for the apple and pear trees lining its roads. Their fruit supplies the region’s cider-works and distilleries where you can sample apple juice, hard cider, perry, pommeau and calvados. 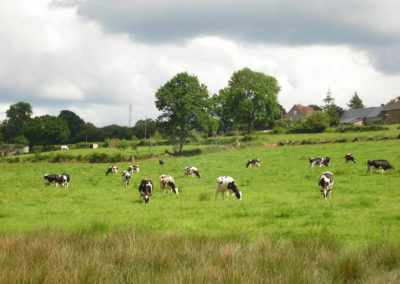 On the plains, the hedged farmland and the hilly green prairies, Norman cows produce quality milk, used to make famous AOC cheeses like Camembert, Livarot and Pont l’Eveque, but also Isigny cream and butter. Many cheesemakers will open their doors to explain all the secrets of their production processes. 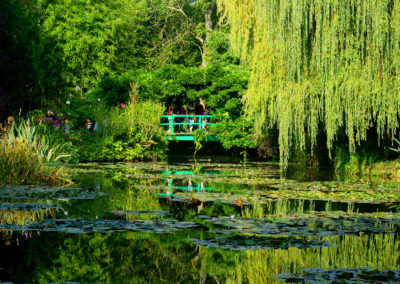 Discover the architecture of Normandy in the Pays d’Auge Gardens in Cambremer. 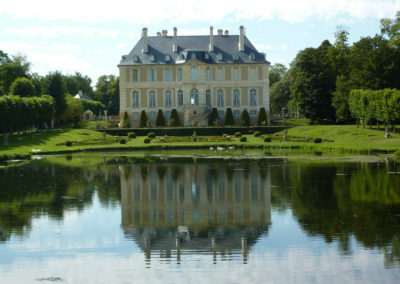 Considered one of the jewels of Calvados, the gardens of Mézidon-Canon are the site of charterhouses and walled gardens which are unique in France. 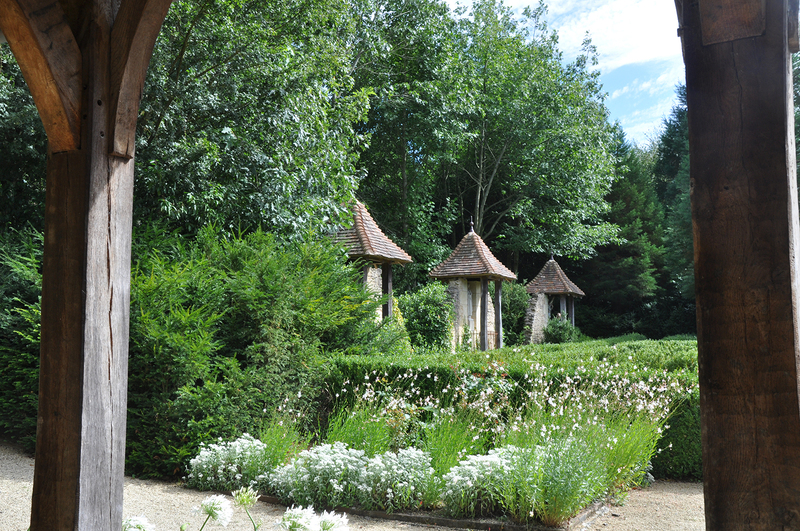 Lastly, the gardens of the Château de Boutemont, to the north of Lisieux, are some of the most beautiful in Calvados. 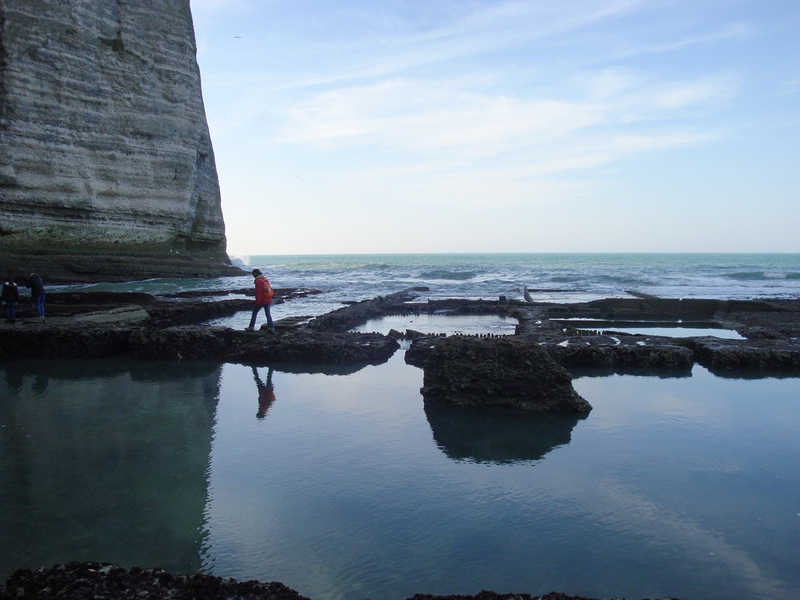 Follow in the footsteps of William of Conqueror along the Bessin coast where fortified farms, abbeys, medieval fortresses and manor houses are legion. From the Ducal Château de Caen to William the Conqueror’s château in Falaise, relive the epic saga of this local hero. Dive into the Middle Ages at the Château de Crèvecœur-en-Auge where a week of activities is held each year during the Medieval Fair. 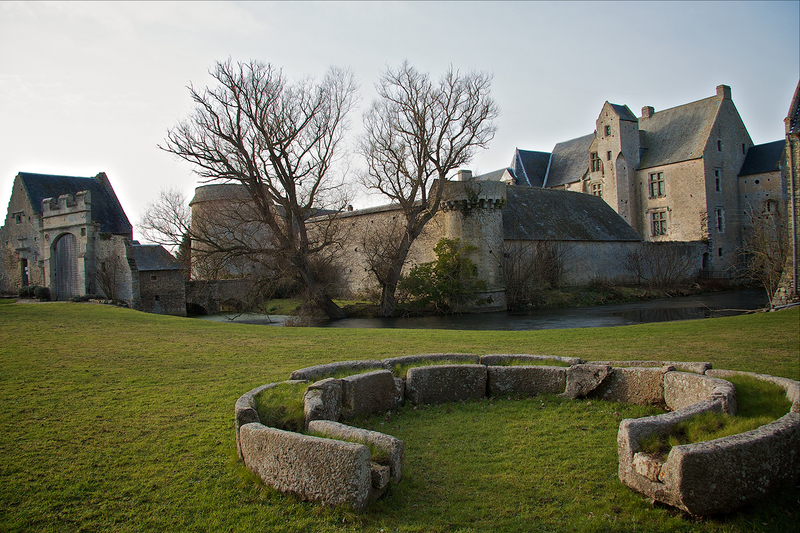 At the Manoir d’Argouges, a rare architectural complex in a mix of medieval and Renaissance styles, let yourself be swept away by the owner on a journey outside of time as you learn about the age-old legend of the Fairy of Argouges. 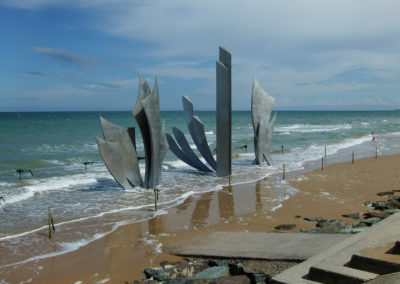 Normandy has a lot to offer and we are here to help you make your journey an unforgettable one. Numerous activities and services are available at variable costs.